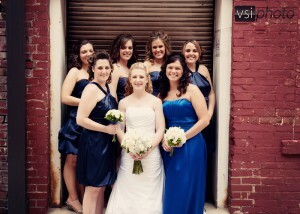 Vivid Studios was kind enough to share these pictures from a recent Danville, IL wedding. The bridesmaids carried simple bouquets of white hydrangea to contrast with their dresses in shades of blue. Brittany’s bouquet was comprised of light blue hydrangea with white roses and white mini callas. 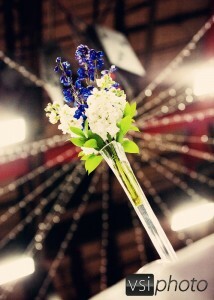 Half of the tables at the reception had tall arrangments of royal blue delphinium and white stock. 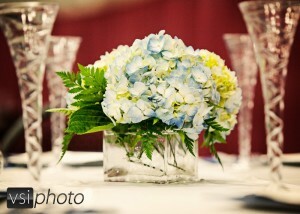 The other tables had low and voluminous designs of light blue hydrangea. Thanks again to Vivid Studios. Glen Dimock wins the prize for sending these stunning images just 3 days after the wedding! 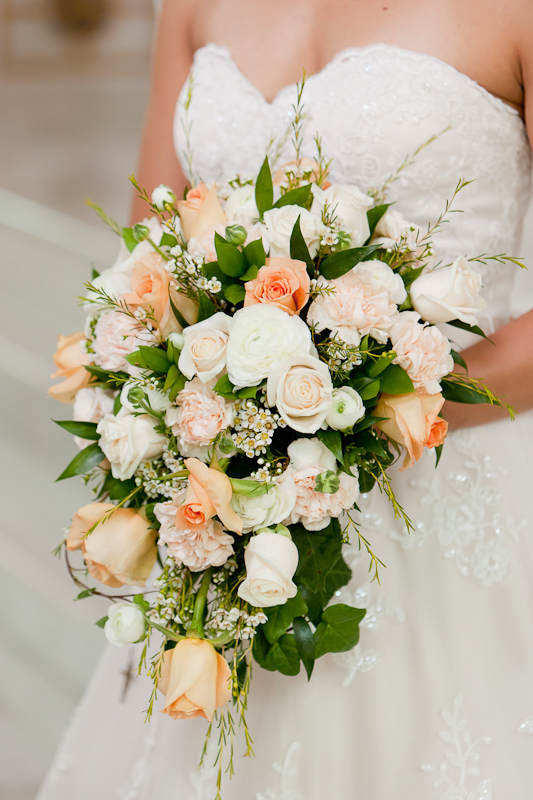 Sarah carried a classic cascade in peaches, whites, and ivories. I love the way the texture of the bouquet echos the lace detail of the dress without overpowering it. 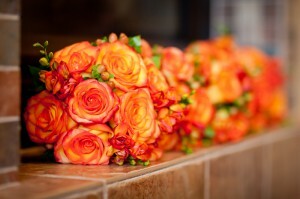 While Sarah wanted a traditional and muted color palate for her bouquet, the bridesmaids carried vibrant bouquets of high and magic roses with orange freesia. Thanks again to Glen Dimock for the wonderful photographs. Check out more of his work.